inhabitants have accepted Holy Mother and listened to her sermons, have believed and were christened. Many miracles were made there by Holy Mother before to sail to Cyprus. monasteries of Byzantium, including on Athos. 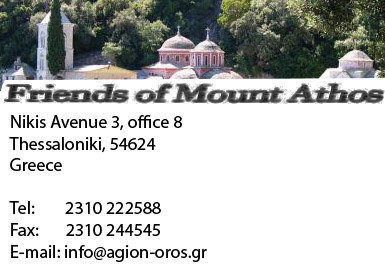 By IX century the imperial reading and writing granted to Enochs the right mainly to own the "Athos". Andronik II and Andronik III Paleologs. taxes, on payments to the deputy of the sultan and its citizen. At this time Russia released from the Tatar yoke financially helps monasteries of Sacred Mountain.